Members of the CIA Executive Committee met at the Ikaalinen Spa and Conference Center to begin the 115th General Assembly of Delegates. Located on the banks of Lake Kyrösjärvi which is the 49th largest lake in Finland covering 96.2 square km, the Ikaalinen Spa is the largest of its type in Scandinavia. The lake is now frozen solid for the winter months and affords a quick trip between the Spa and the town center as residents drive across. The Executive Committee's work is offered as recommendations to the General Assembly for discussion and voting in the general running of the CIA's international business. 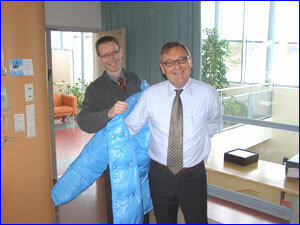 CIA Public Relations Manager Harley Jones is pictured below being outfitted with a warm winter coat by CIA Vice President and Winter Congress organizer Kimmo Mattila to help cope with the Nordic winter weather. Harley lives in tropical Fiji where he doesn't even own a coat! Harley will in turn host the Winter Congress in 2007 on Nagigia Island, Fiji which will make a strong contrast to the freezing cold. 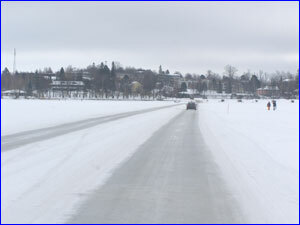 After months of driving for 15 minutes around the lake, cars now drive over the frozen lake to town in just 3 minutes. 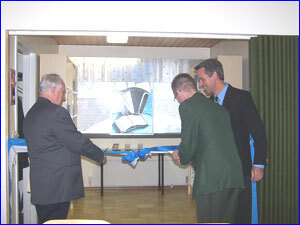 CIA Delegates, Members of the Press and invited Guests gathered at the Hanuritalo (Accordion House) in Ikaalinen to conduct the official opening ceremony of the CIA archives. 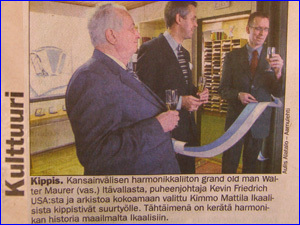 Among the invited guests were Jorma Kiiveri, Heikki Eranen and Marko Tikka. The ribbon cutting ceremony of the CIA archives concluded the year long celebration of its 70th anniversary, and enables the opportunity to put together in one place, the rich history of this international organization. 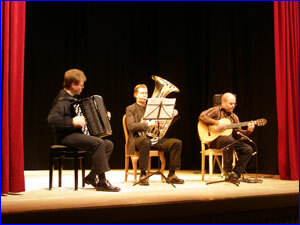 In addition, the importance of this work reaches far beyond as it also allows us to profile the development of the accordion and its repertoire in general, as well as the accordion movement in various countries around the world. 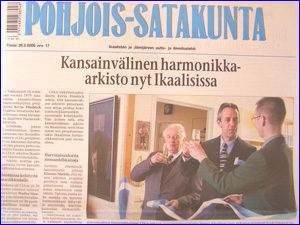 The archives center is housed at the Hanuritalo (Accordion House) in Ikaalinen, Finland which is also the home of the CIA member, the Finnish Accordion Association. The archives is collecting all materials pertaining to the CIA such as all former Test Pieces, program books, information such as recordings and bios from all CIA winners, Merit and Honored Friend award recipients, press coverage, Newsletters, pictures, mark sheets and results from previous competitions and much more. September 21, 2004 marked the first donation to the archives of the CIA. This first donation of many CIA Test Piece scores was made by Ernest Deffner, Inc., the parent company of Ernest Deffner Publications commemorating the firm's own 70th anniversary. The president of the firm Mrs. Faithe Deffner is a long time friend of the CIA and has been a United States delegate to the CIA for more than 30 years. 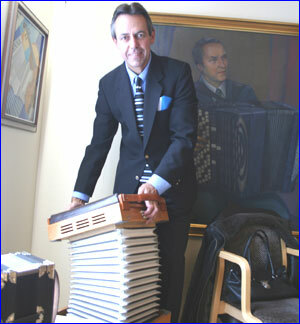 The New Zealand Accordion Association (NZAA) was the first CIA Member nation to make a donation of material including Pictures, Newspaper articles and other material to the Archives, and past CIA Vice President - Maddalena Belfiore has recently made a significant donation of program books, competition results, Newsletters, minutes, newsletters, correspondence and much more. Most recently, the CIA General Secretary has donated a large collection of documents collected over his 31 year tenure as an Executive Committee member of the CIA. Material might include program books, copy of test pieces, newspaper articles, subsequent solo recordings, tickets from functions, mark/score sheets, copies of pictures from the Coupe Mondiale and any other items that will help document and preserve the history of this 70 year old organization. Much of the information will be included on the CIA website in the future, or maybe even available for displays at national member events. 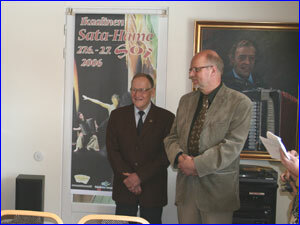 Honored Guests Heikki Eränen is Honorary President and Founder of the Sata-Häme Soi Accordion Festival and Jorma Kiiveri is a member of the support association for The Finnish Accordion Institute. 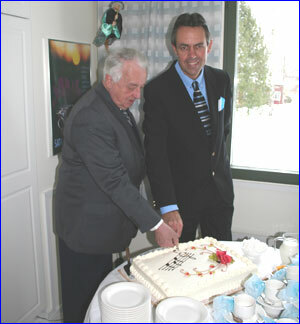 Marko Tikka (Dr. of Philosophy) and Scientist at the University of Tampere. 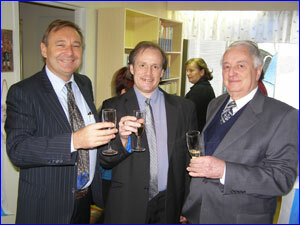 He offered his insight into the importance of working on such a project as the CIA Archives. 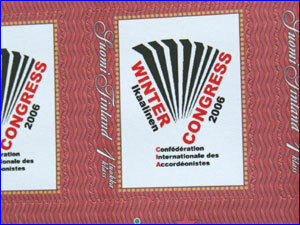 Special postage stamps were ordered for the 2006 Winter Congress in Ikaalinen. 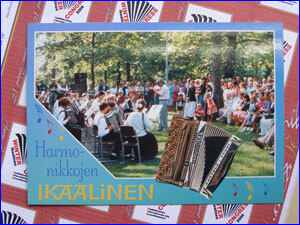 Attendees were also given Ikaalinen accordion Post Cards to send back with the official accordion stamps. 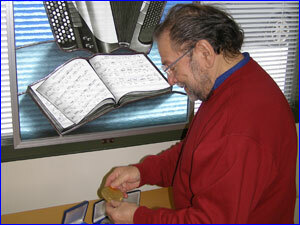 Music Committee Member Mr. John Leslie (UK) looking at one of the Gold Medals from Coupe Mondiales gone by. 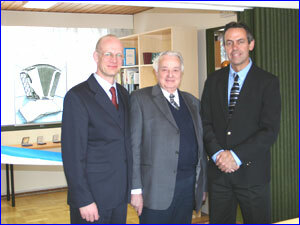 PR Manager Harley Jones, CIA VP Raymond Bodell and CIA General Secretary Mr. Walter Maurer. 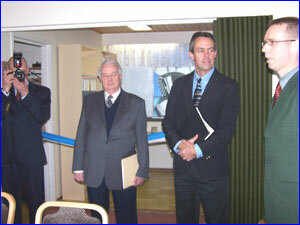 Pictured outside of the Accordion House (Hanuritalo) prior to the CIA Archive Ribbon Cutting Ceremony are some of the attendees of the 2006 Winter Congress including Delegates, Guests and members of the Press. 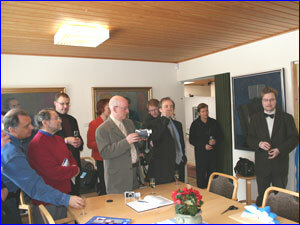 From left to right are: Kevin Friedrich (USA), Walter Maurer (Austria), Harley Jones (Fiji), Kimmo Mattila (Finland), John Leslie (UK), Graham Laurie (Scotland), Jörgen Sundeqvist (Sweden), Viatcheslav Semionov (Russia), Ulrich Schmulling (Germany), Ray Bodell (UK) and Anna Bodell. 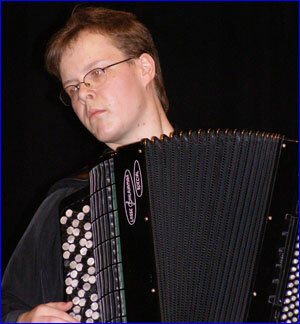 The Finnish Accordion Association hosted a welcome concert for members and guest of the CIA featuring the winner of the recent Lasse Pihlajamaa International Competition Veli Kujala performing both original Finnish accordion works as well as with the Pipoka Trio featuring Veli on accordion, Jarmo Julkunen on Guitar and Petri Keskitalo on Tuba.